Conference season is upon us! For some that means cramming into a drab hall in a hotel out in the middle of nowhere, listening to long-in-the-tooth experts drone on for hours on end. For others, it’s a chance to take time away, fly to somewhere sunny and fill your brain in between running up a huge bar bill on company expenses. Whichever end of the scale you land on; conferences represent plenty of opportunities for anyone running a membership website. 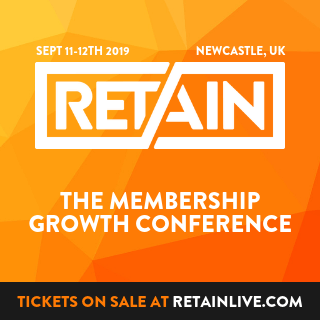 The main reason most people go to a conference is to learn something new and top up their skills, and it’s not different for membership owners. We often get so entrenched in the subject we’re teaching and talking about with our community that it can be easy to forget that we’re actually running a business. A good conference can equip you with the latest techniques, tools and strategies you need to grow and get ahead. It’s not just your own education that you can improve by attending a conference – they can be great ways to pick up new techniques, strategies and industry updates for your members too. This might mean attending a conference based around the topic of your membership site, and then passing on what you’ve learned to those in your community. Or it could be that you attend a more general conference that covers something like marketing or business growth etc; and then turn those more general teachings into something specifically geared towards your members. This is one of the main reasons we recently attended Social Media Marketing World in San Diego – not only did we pick up some great insight for ourselves, but there are plenty of takeaways which we’re able to apply to the membership model that will form the basis of an upcoming members-only live training session too. As well as providing the basis for member content, conferences can provide a great deal of inspiration for your public content too. Case in point – this blog post! Had we not attended numerous conferences ourselves, with a more on the horizon, then we may not have written this post – and we certainly wouldn’t have had specific examples to use. We’ve also recorded podcast episodes of our main conference takeaways too, so that’s multiple pieces of content inspired just one event – with a few more in the pipeline based on specific talks and workshops we attended. Developing relationships with key figures, influencers and thought leaders in your industry can be extremely beneficial for a variety of reasons. Not only can these people be a great source of inspiration, but for membership site owners being able to bring leading experts in as guest trainers or podcast guests can both elevate you in the eyes of your audience while ensuring they’re getting top-notch advice from people who really know their stuff. Such big names are usually in bountiful supply at big conferences and events, where many of them will be featured speakers. While, obviously, you don’t want to pounce on every speaker after their session to try to get them to agree to all manner of things – simply introducing yourself and asking if it’s okay for you to email them about appearing on your podcast or possibly doing a joint webinar can be a good ice breaker compared to emailing them cold. For the majority of you reading this, I’m guessing your membership community is entirely online. 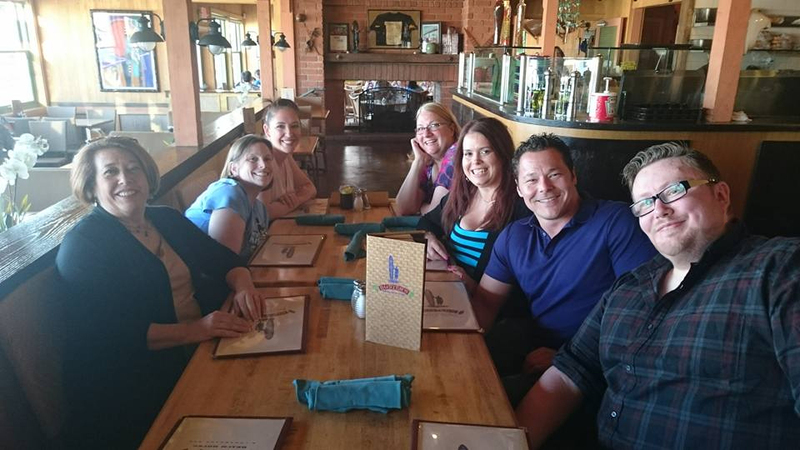 While you will have members who form very strong bonds having never met each other in real life, if the opportunity presents for you to arrange an actual physical member meet-up then you should jump at the chance. Conferences are a fantastic opportunity to have a member gathering, where you can not only meet your members in the flesh and further your relationship with them; but your members get to meet each other too. Having the chance to meet up with a small group of Member Site Academy members before Social Media Marketing World was one of the highlights of the trip – one we’ve since been able to replicate at events around the world – however this would have been trickier to arrange if not for the fact that those guys were in town for the conference. Of course, “traditional” networking is one of the biggest aspects of attending a conference. Getting to meet people from all sorts of backgrounds, locations and businesses can be very rewarding on a variety of levels. Again some of these people will be connections that were previously online-only, so putting a face to the name and building those relationships is a big benefit of attending these events. Most conference attendees will tell you that they often get more out of talking to the random person they sit next to in a workshop or at lunch than they get from the event sessions themselves. One of the things we love doing as membership site owners is to score perks for our members. Discounts, freebies, whatever we can get our hands on that our members might need – we take any opportunity to leverage our position in order to grab a good deal for the Academy. Again conferences are a great place to do this, as there is almost always a selection of sponsors who you may otherwise have a hard time connecting with. Stop by the sponsor booths and see what you can negotiate for your members! 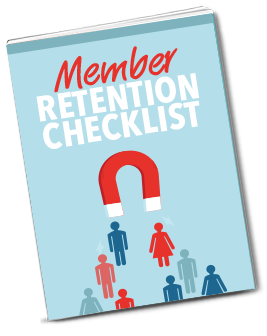 Many membership owners are thought leaders who either already are, or are aspiring to be, the “go to” people for a particular topic or market. As such, building authority is key; and public speaking – particularly at well respected industry events and conferences – is a huge way to really make your mark as a credible expert. To that end, getting to know the event organisers – or at the very least getting on their radar – is a crucial first step; and where better to do that than at the very events they’re organising? Keep in mind that these guys will be extremely busy during the event so don’t hound them. A simple introduction and exchange of business cards can be a good enough precursor to a follow-up email once the dust has settled. When you’re running a business that is predominantly online, the simple act of speaking to people face to face can become a forgotten skill. You’ll hear this question a lot when networking at a conference, and figuring out how to answer it with clarity and confidence is a skill that’s worth sharpening; not just to make your networking efforts more effective, but to make you better all round in communicating what it is that you do across all other channels and mediums too. While storming around the conference in full-on “Buy My Stuff” mode won’t win you any new friends; the very fact that these sort of events are likely comprised of people who specifically have an interest in what your membership is about makes them a good place to pick up new members. Make sure you take plenty of business cards and perhaps even consider a special offer just for that conference in order to sweeten the deal for anyone who mention your membership to. You could go one step further and, depending on the dress code for the particular event, go fully kitted in branded apparel that promotes your membership. So, are you attending any conferences or similar business events in the near future? Do you have any tips or tricks of your own? Stop by our FREE Facebook group and let us know how YOU use conferences to benefit your membership business. Attending a conference soon? 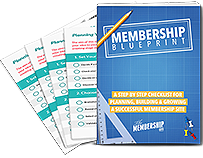 Which of these tips will you be utilizing to grow your membership? We really appreciate you chosing to listen to us and for supporting the podcast. If you enjoyed today's show, please share it using the social media buttons on this page. We would also be eternally grateful if you would consider taking a minute or two to leave an honest review and rating for the show in iTunes. They're extremely helpful when it comes to reaching our audience and we read each and every one personally! Popular Content Should you use a forum or Facebook group? © We Do Digital Ltd t/a The Membership Guys 2013-2019. All Rights Reserved.